A new standard for network cabling. 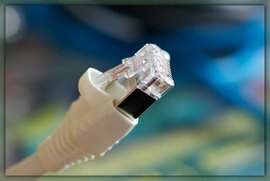 It is similar to Cat 5e and Cat 6 cabling, but can handle up to 10 gigabit Ethernet at 600 MHz. Individual wire pairs have shielding, which makes them even better than Cat 6 at reducing crosstalk/system noise. They are backward compatible with Cat 5/5e and Cat 6. These cables are fast and future-proof, but also more expensive. Consider what speeds are necessary for the network before paying extra for capacity that may never be needed. Cat 7 cable costs about $0.98 per linear foot.